My wife is upstairs with the kids and that gray round buzzer thing (yeah the smoke alarm!) is screaming at me. Another burnt toast morning. Burnt toast is all about small business tech. 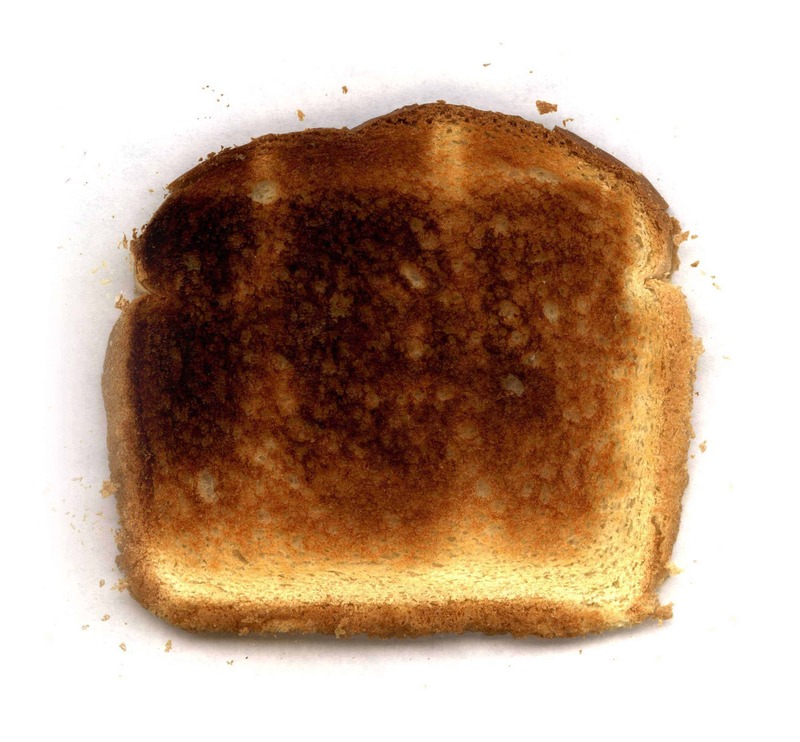 How we handle burnt toast is how most business owners handle small business tech issues. Is it me? Or is it this toaster? Or that dam round buzzer thing? Or is it my small business? Time traveling would be the best solution. It’s been done a thousand times in the movies. Maybe not for burnt toast. But other people have done it. Michael J Fox, Bruce Willis, Arnold Schwarzenegger and even Mick Jagger! But there might be a more timely solution then reconstructing the flux capacitor in my head. Logic flies out the window when we burn toast. The final phase is when we come up with illogical solutions like time travel for burnt toast. Of course it’s easier to take a deep breath. Turn off that dam round grey buzzer thing. Throw out the toast. Clean the mess up and decide! Do I try again? Do I use the same small business tech solution or another one? Of course this is all metaphorically. We burn toast in our business all the time. Every mistake we make is burnt toast. When using technology, most of us ignore how to use the technology and it burns. We feel it! We do not follow instructions. We do not ask for help. We just live with burnt toast and our business suffers. Many people just scrap away the burnt pieces. Others throw it away. Few look at the settings, adjust them, and make the best piece of toast they have ever had! Learning from our mistakes or disasters makes us stronger entrepreneurs. What do you do when you burn toast? What do you do when something goes wrong? What makes us great in business is not when everything is going great. It’s how we handle the disasters. Our best leaders are the ones who stick to the plan when the worst scenarios are upon us. You are the leader in your business and you shouldn’t let burnt toast destroy your day, week, month or year. It is proven that burnt toast has inspired some people. From the ashes of our mistakes comes success. We do not need a time machine to fix the big or small disasters. Yes, I do not need a time machine for my burnt toast. I have learned to set the setting to 2 for toast and to make sure the bagel button isn’t on. When you make a mistake, burn toast, don’t do what everyone else does. Find out why it happened in the first place. If your always-burning toast then there is something wrong. Something you don’t know. Get help. Educate yourself. Don’t eat burnt toast. Technology helps your business, but you need to keep yourself educated with it. Small business tech never works 100% of the time, were lucky if it works 40% of the time. When you need help make sure you have it! Next time a big disaster hits your business or life, think about how you would handle burnt toast. Clean up the mess, re-adjust your thinking (adjust your settings) and do it again. Or maybe make waffles! This post is part of ‘Business Website Essentials‘ section. Your turn! 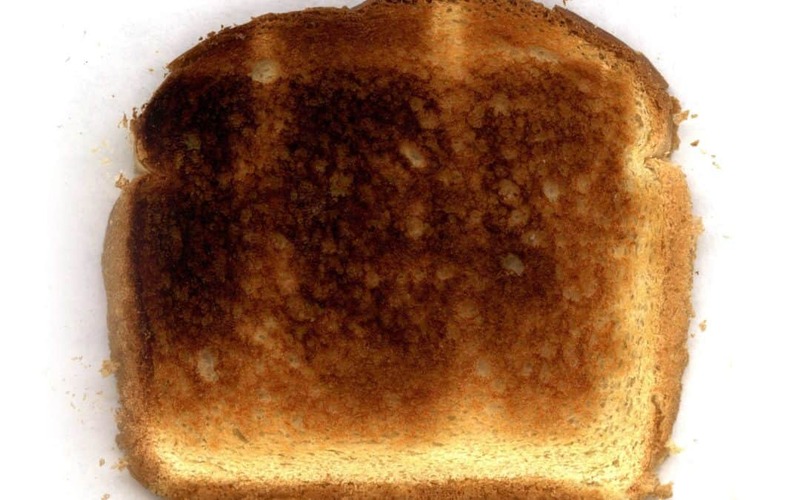 Comment below about your big ‘Burnt Toast’ technology moments! Where you able to overcome it? Join me weekly to become more tech savvy and eat less burnt toast.